The 2017 RS Aero North Americans were a test of fortitude, and at times, patience. Over three days and 12 races, the fleet saw winds from 3-25 knots, pouring rain and bright sun, strong current and slack. It was a real workout of one’s sailing repertoire! Day 1 was sailed just south of the Newport Bridge in a light breeze that steadily went left. With J70s, Melges 20s, 110s and RS Aeros on the course, the RC wasn’t very quick about adjusting to the backing wind, making for lopsided beats that emphasized good positioning at the start to beeline it to the weather mark on port. 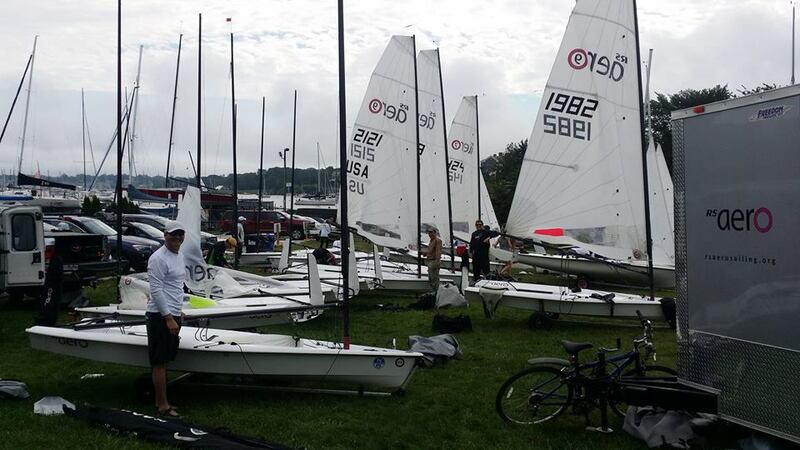 Day 2 the Aeros joined 29ers, Comets and Lasers on a course between Rose and Goat Islands. The Aeros surprised the RC with their speed, so much so that the first 3 finishers of Race 4 were not scored, causing the committee to abandon the race after-the-fact, to the great disappointment of many. Day 3 was sailed in the same area as Day 2. The first race of the day was sailed in a dying westerly that was predicted to back to the south and build. Back it did, but the build didn’t happen until after the finish. After that tough one, the RC waited for the breeze to fill and set a course that was again heavily port-tack favored for the final three races in fresh, building wind and chop on top of occasional rollers. Michael Housley from Maryland is just getting started in racing and began the competition with a literal BANG, getting conked on the head with the boom while trying to avoid capsizing in the first race. A huge bump on his head necessitated a trip to the emergency room, where he was declared fit for play, and the next two days he switched down to a 7 rig. 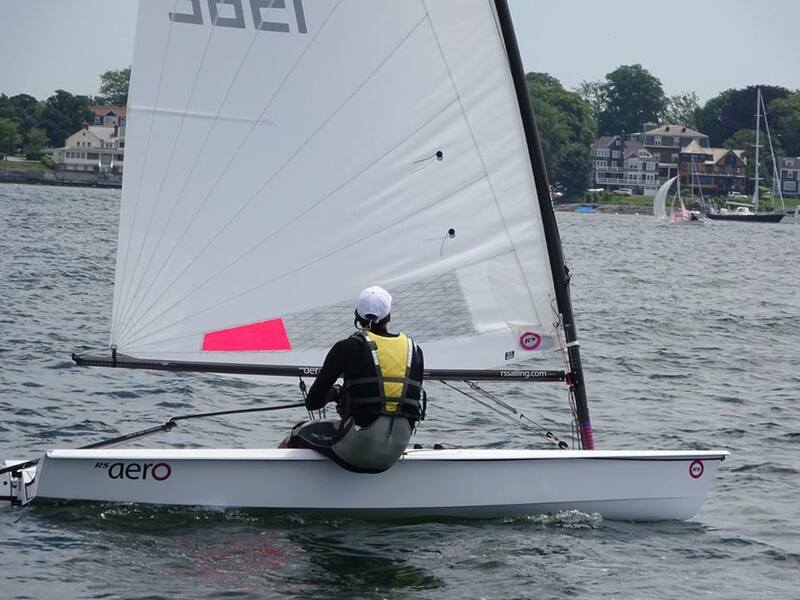 Melissa Solnick from New York was the sole female entry, and once again showed her grit, recovering from several capsizes in the last two days sailing a 7. Lissa has shown vast improvement since last year and was quite quick upwind, often beating several larger competitors to the weather mark. Greg Popp drove two days from Florida to race with his Aero friends. Ever the gentleman, Greg accompanied Mike back to the dock after the Big Bang, and showed a good turn of speed too, recovering from a tough first leg in Race 8 to score his best finish, in very light conditions sailing a 7. Jerzy Sliwinski from Pennsylvania isn’t (yet!) an Aero owner, but he seems sold on the boat. Zooming around on a 9 with a huge smile on his face, Jerzy has a deep background racing Finns and Lasers, and a practical, analytical nature that will serve him well in the class. Ash Beatty from Texas sailed a 9. Like his buddy Hank Saurage, Ash wasn’t afraid to split from the fleet to exploit an opportunity, placing 2nd in Race 4 and pulling out to a huge lead in Race 7’s first and second legs, only to be done in by a big left shift. 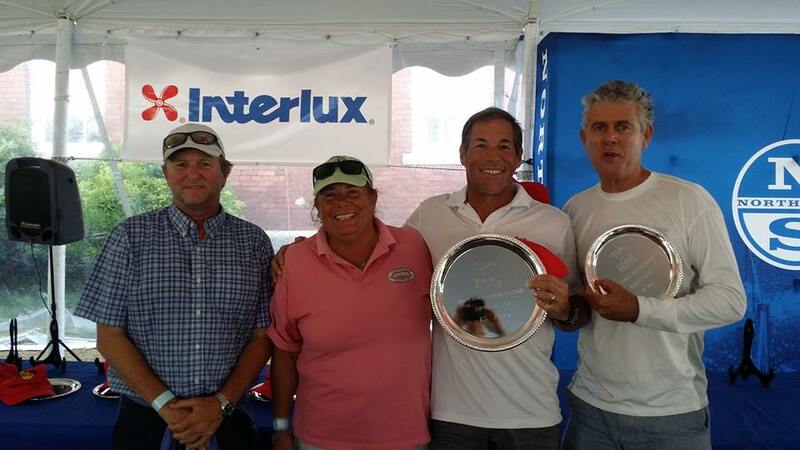 Another class stalwart and long-distance driver, Tony Corkell from North Carolina sailed a 7. Absolutely huge was Tony’s finish in Race 7, where he displayed vision, patience and speed to win the whole enchilada in very light conditions! 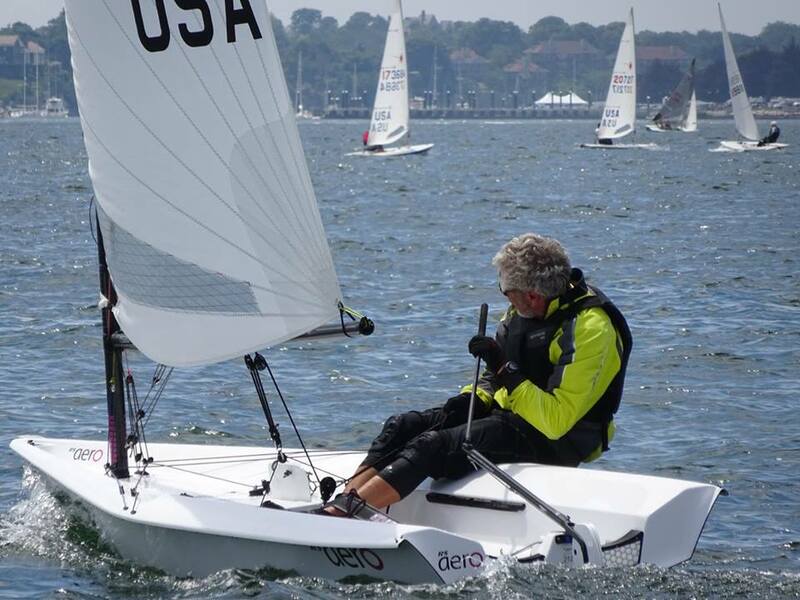 David Solnick from New York sailed a 7. 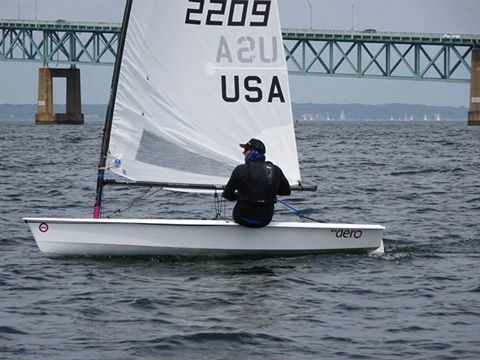 David’s scores were somewhat variable in the first two days (highlighted by a 3rd place finish in Race 6), then showed real consistency in the heavier breeze of Day 3. JC Raby from California sailed a 9. A big man with the imposing physique of a former college rower, JC was competing in his first Aero regatta. By his own admission, JC seemed incredibly adept at finding new ways to hobble himself (! ), but still managed to win Race 6 and by the end of the event had shaken off the early regatta slip-ups and was really coming on strong. Eric Aker is one of those sailors who stealthily sneaks up and whups you upside the head. Never flashy but unshakably quick and smart, Eric posted an incredibly consistent scorecard in wildly variable conditions in his 7 to place Fourth Overall. Madhavan Thirumalai from Connecticut used the NAs as a final tune-up for the Worlds later this month, placing Third Overall. 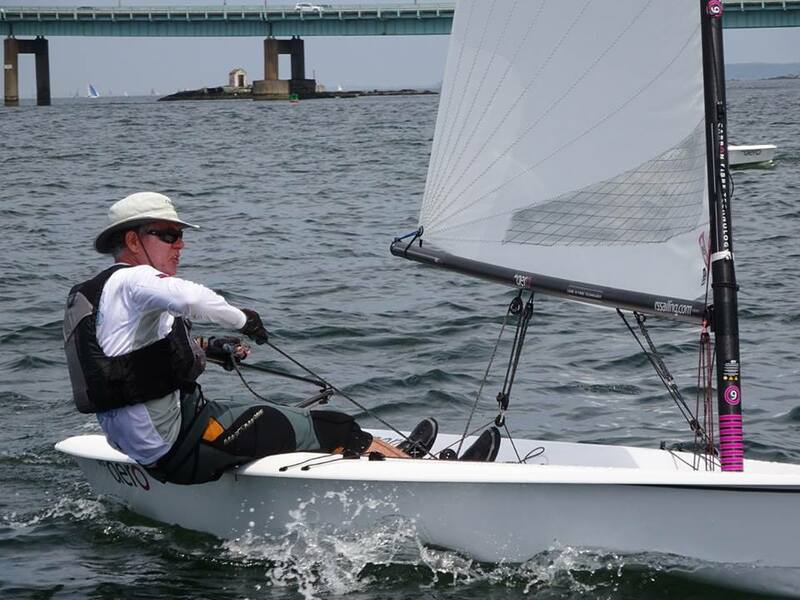 Sailing a 9, Madhavan had an especially impressive Day 2, scoring 2, 1, 3 before erroneously interpreting an abandonment flag flown by the race committee and missing the day’s final race (as did several other competitors). Madhavan was also fast in the big breeze of Day 3, pulling out to a huge lead in one race only to experience a heartbreaking capsize right at the leeward mark. Madhavan’s training partner Marc Jacobi, also from Connecticut and sailing a 9, was often fast but had too many unforced errors to win the event. Jacobi was especially fast in the big breeze of Day 3, pulling out to commanding leads on the first beats with a set-up that, at times, permitted him to plane upwind to great effect. The battle with the regatta-winner was at-times impossibly close—in Race 1, for example, the winning margin on handicap was in the hundredths of a second! Showing remarkable consistency and ability to take advantage of opportunities, Louisiana’s Hank Saurage, sailing a 7, prevailed with a 3-point lead over the next boat. Solid starts, aggressive boat-on-boat tactics and a canny sense of when to follow and when to split from the competition were some of the keys to his success. It’s a pity Hank won’t be in Carnac to carry the North American flag in the 7 fleet at our first World Championship later this month!